I was recently working on deployment of SQL Server PowerPivot 2014 integration with SharePoint 2013. 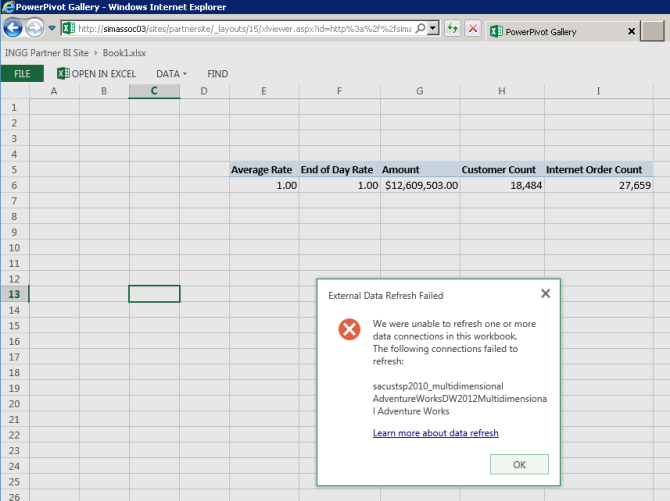 To add complication to this, data refreshes were working from some Excel PowerPivots within Excel Services, but failed on other PowerPivot workbooks. So what was different about these PowerPivot workbooks? We knew that some PowerPivots were being created on local client machines away from the SQL Server 2014 Analysis Services installation and others were being created within an Excel client, which was installed on the same server as Analysis Services. 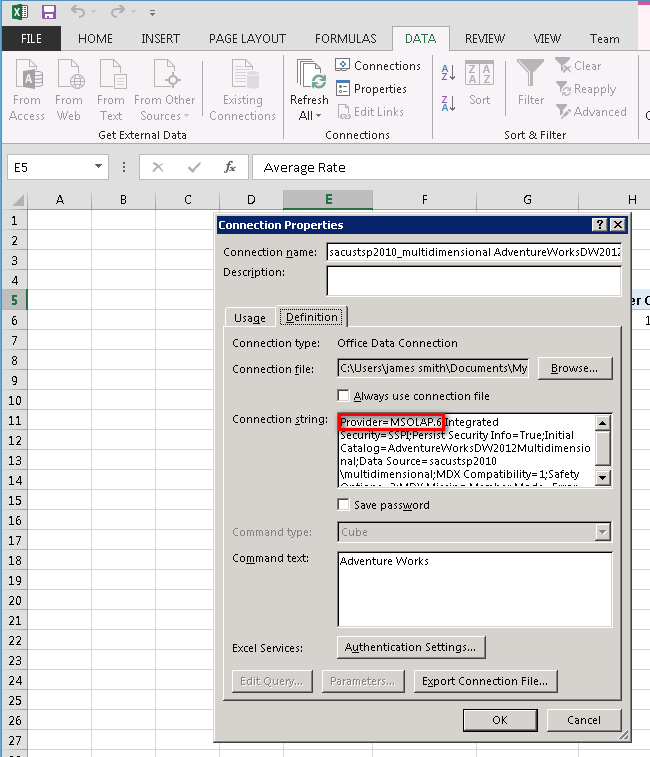 Upon checking within the connection properties within Excel, I could see that on workbooks which were created on the Analysis Services server, this was using a data provider type called ‘MSOLAP.6’. Whereas on workbooks which were created away from the Analysis Services server, these were using a data provider type called ‘MSOLAP.5’. MSOLAP.6 is a new provider driver brought around by SQL Server 2014 and as SharePoint 2013 was released some time before this, Excel Services does not trust MSOLAP.6 by default. Any client away from the SQL Server 2014 installation will always default to the MSOLAP.5 provider, which Excel Services already trusts. Close down the PowerPivot workbook within Excel Services and then re-launch it to test the data refresh and all should be fine!